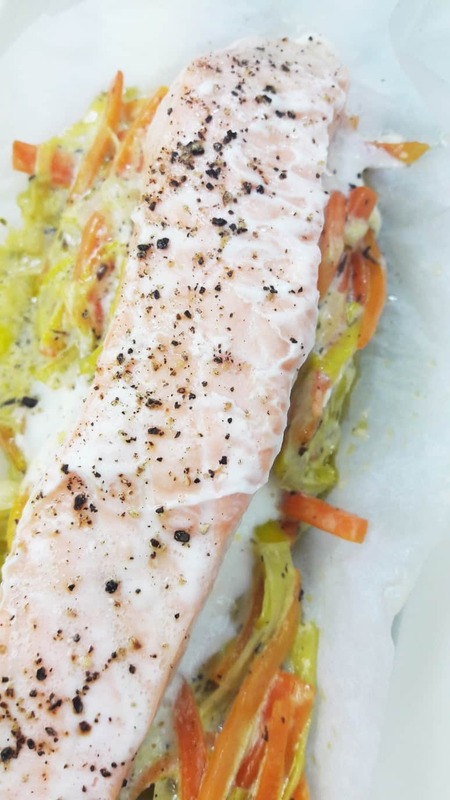 You’ll love this quick and easy salmon baked in parchment paper! It makes salmon a weeknight dinner! You know that feeling when you want to create a tasty, beautiful dish with simple, healthy ingredients that comes together quickly and easily? Yeah, that feeling! Well, this recipe is IT. 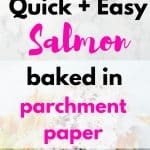 You will be so happy you tried this quick and easy salmon baked in parchment paper! Salmon is one of our absolute favorite healthy, real foods. It is full of nutrients, rich in healthy Omega 3s and B vitamins and is one of those staple ingredients that can be prepared in so many wonderful ways. It is a key ingredient in the healthy, wholesome recipes with a French flair that we create in our Parisian kitchen! 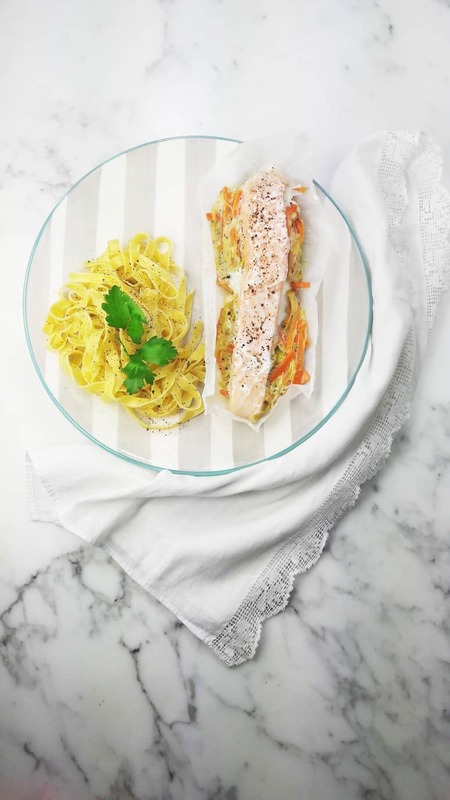 Thanks to the simple cooking technique of baking your salmon in parchment paper, the fish is sure to cook evenly and retain its moisture, giving you a perfectly juicy, rich in flavor, yummy salmon dinner every time. We love how easy it is to throw this dinner together because anyone can do it. 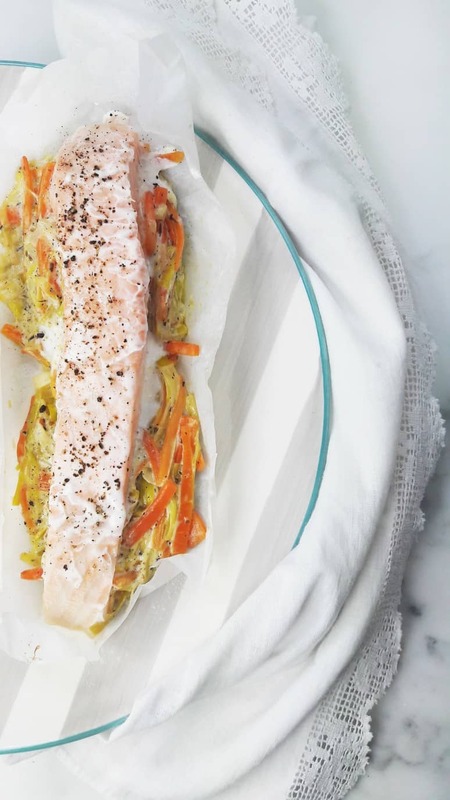 The simplicity of this recipe will also give you the time to enjoy a Lemon Ginger Infused Apple Cider Cocktail while this quick and easy salmon baked in parchment paper is in the oven. Our secret ingredient that pulls everything together is our mixture of Provençal herbs. These are a staple of every French kitchen. Here they are called “Herbes de Provence”. One of our favorite parts of preparing healthy, whole foods, is going to our local market on Sunday mornings and choosing our favorite ingredients. Our market is called the “Marché d’Aligre” and it is our favorite spot to buy fresh fish, organic veggies and all kinds of amazing cheeses! Oh and we get our magic “Herbes de Provence” mixture there too! About 45 minutes before you’re planning to serve the salmon, prepare the leeks and carrots by cutting them in julienne. This will make them the perfect size and shape to bake uniformly with the salmon. You’re going to cook them for 2 minutes with a little bit of dry white wine and cream before they go in the oven. This will give them tons of flavor and prepare them to be baked with the salmon. 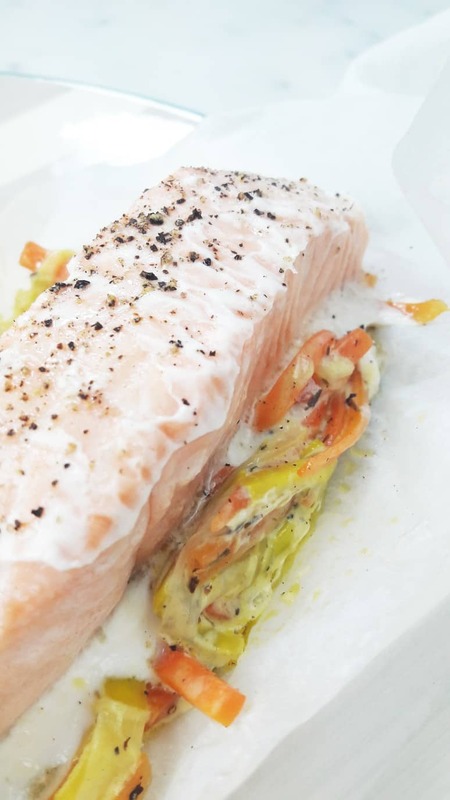 Prepare a small aluminum foil and parchment paper packet for each salmon filet. Take one sheet of aluminum foil and line it with one sheet of parchment paper for each filet. Line the inside of the packet with your veggie mixture and top with the salmon filet. Close each packet by wrapping and folding the parchment paper and aluminum foil and pop them in the oven to bake for 20 minutes. Voilà, it’s as easy as that! Just open your little packages after the 20 minutes is up, let the steam out and serve. We served ours with tagliatelle pasta on the side. 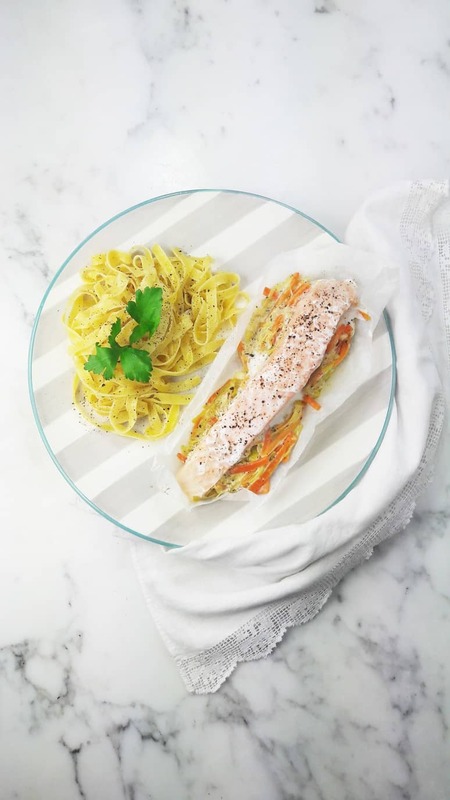 This quick and easy salmon baked in parchment paper, and the addition of the pasta on the side, will ensure that your kids love this recipe too! If you are looking for the perfect vegetable dish to serve with this salmon, look no further than this classic French ratatouille recipe. It tastes amazing with the fish and pasta. Heat Olive oil in a casserole on medium heat. Add the leek and carrots and cook for 2 minutes. Add wine and cook for 8 minutes. Add cream when the wine is totally absorbed and cook for 5 minutes. 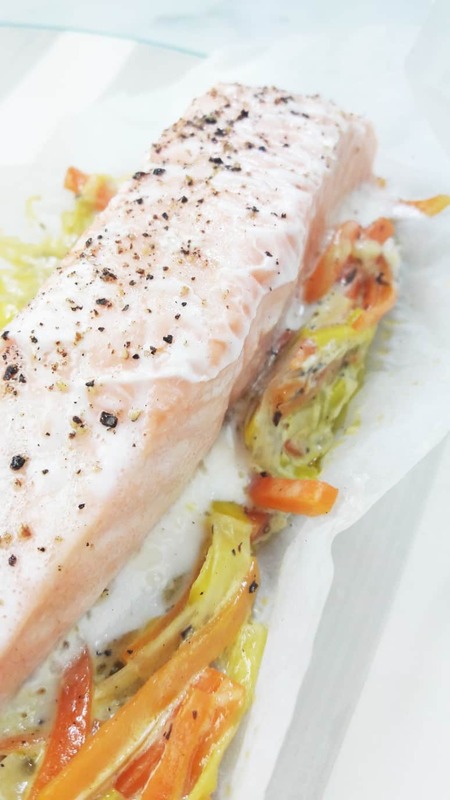 Cut 2 sheets of aluminum foil and 2 sheets of parchment paper to make a small baking packet for each salmon filet. Preheat oven to 360°F (180°C). Place each sheet of parchment paper on a sheet of aluminum foil. Line each sheet of parchment paper with half the leek and carrots mixture. Place a salmon filet on top of each. Close each parchment paper and aluminum foil packet. Open the packets and let the steam out. 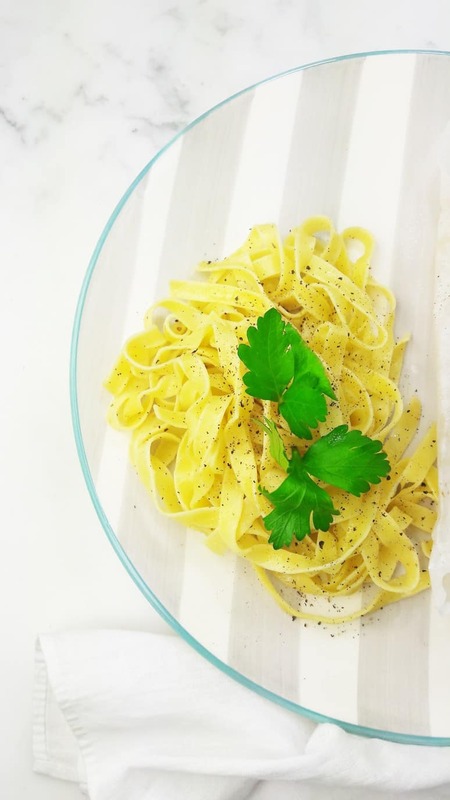 Serve with tagliatelle pasta on the side. If you enjoyed this recipe, please sign up to have our real food recipes with a French twist sent to you by email. As an added bonus, we are currently offering a virtual tour of our Paris. When you sign up for our recipe emails, you will also receive 1 email per day for 5 days with photos of our favorite spots in Paris + a related recipe for each day. Sign up here. 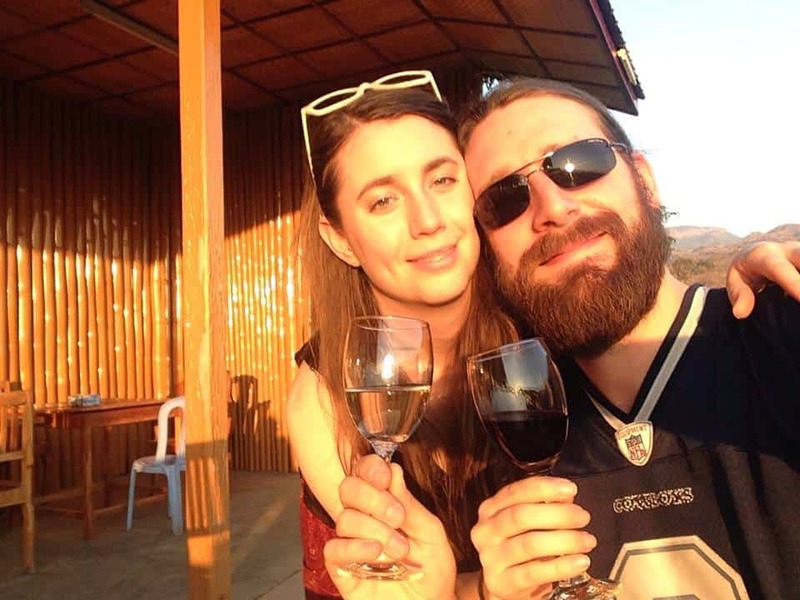 Alix and Hugo develop their healthy, wholesome recipes with a French flair in their Parisian home. They share their creations on their food blog, A Hedgehog in the Kitchen. Sign up to receive recipes in your inbox here.